I Thought I’d start my writing progress by trying to post daily a paragraph or two from my writing. Before I post it, however, I wanted everyone to know that I’ve already ordered the proof copies of Iron Tribune, and they should be here by the end of the week (If not sooner, I’ve found Createspace to be very quick). As soon as I “Officially” look through them, I can order normal copies and then get into the process of mailing everything to everyone! What this means is, whether you’re a kickstarter backer or just a fan – Now’s the time to email me directly if you want to change your signature request message, order additional copies of Brass Legionnaire, Copper Centurion, or Iron Tribune. I don’t make many orders, and getting additional books plus signing and then taking them to the post office takes a lot of time, so this one is special 🙂 You can message me using the ‘contact me’ button at the top of the page! Plus when you buy through me you’re supporting a small business and helping me write more books! Boots pounding on the cobblestones, Felix raced towards the monumental bulk of the Imperial Palace. The ex-legionnaire moved swiftly, dodging the mid-afternoon street traffic. After maneuvering around one particularly large group of coliseum fans, clad in their trademark green shirts, Felix came to a halt. Is there some special event happening today? He heard a nearby merchant complain as well. “Stupid mobs. Always gathering in the streets for no reason. There’s not another event until Sunday.” Felix froze. Mobs. Streets. An assassination attempt on the senatora. If something’s going to happen, it’s going to be today. Fortunately, the palace was mere blocks away by now. Felix handed over his documents to the bored-looking guard, who had just finished ushering another Praetorian guard through the checkpoint. “You’re the second person to ask about Legate Praetorius Alper in as many minutes.” The man told him, handing back his papers. “Just that the Legate seems pretty popular today. Centurion Parthius just asked if he was busy as well.” Said a second praetorian, walking out of the small gatehouse to take Felix’s spatha. Felix moved on, walking quickly over the crushed gravel pathways. No running, I can’t look like I’m in a panic. 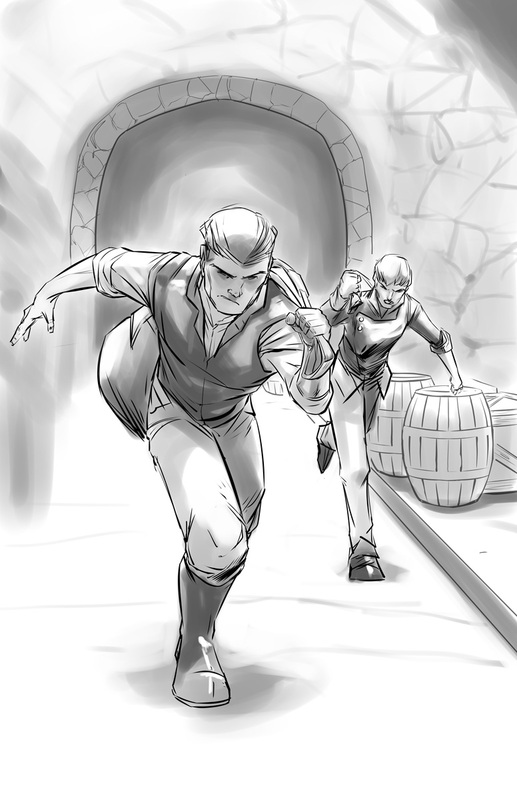 As he entered the building, he caught a glimpse of Parthius as he ducked around a corner to the left. I feel as though I’ve seen him before, he moves the same way as…nevermind. Felix thought. I must be losing my mind.